another quick way to messure metric to Inches. you will allways divide by 1270 after you get the product of the 1st 2 numbers, after you get that number you just add the rims size and their you go. 3 simple steps to get your answer. 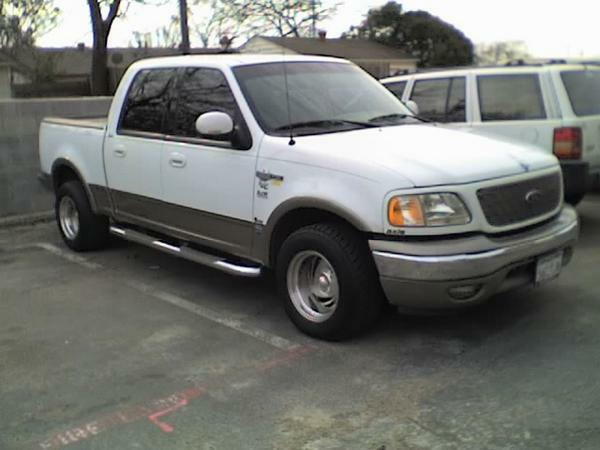 Those rims referenced are 5 lug and your truck is six lug. Just making sure u aren't planning on ordering those for an 05. CAn you buy beefy 35" tires that fit your stock rims? Does this mean the stock rim is 10 inches wide? I was wondering because I am putting 33s in my stocks with a level and need to know if I need 33x10.5x18 or 33x12x18. I see this is several years old now but it was still very useful. Thanks for the OP!!! No, the rim width does not factor into this equation, your stocks should be 7.5" wide. And yes, either of those tires will fit, the 12" wide MAY rub a touch when tires turned all the way in either direction. Your quite welcome for the post, glad you found it useful. how big can i go..
with a 2" leveling kit what size of tire can i go to fill in the void in the fender wall, or maker look healthy??? I got bored and wrote this a while back.... gives a mathematical approach to understanding metric to us conversions.. Since everyone usually has questions on tire and wheel combos/sizes. I decided to do some calculations and help members out with metric to U.S. standard(inches). This information is all over the net, however, I thought it would be convenient for it to be all in one place. I only used the most relevant and commonly used truck tire sizes. Therefore, this could be beneficial and educational to the general member with no tire experience. I see alot of posts implying that a 305 70 is a 33 x 12.5 or close to 33. When in reality, its impossible to calculate the height of a metric tire without the rim size. The diameter of a metric tire must be calculated using all three of the tire specs. I think this confusion is because most American tires do not depend on numerical calculations; the specs posted are the respective height and width regardless of depending on rim size. For instance; a 33 x 12.5 x 15 has the same height and width(within reason) as a 33 x12.5 x 17. However, a 305 70 17 is not the same height as a 305 70 15. 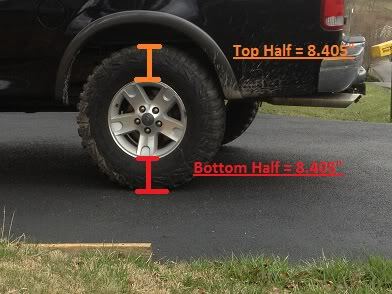 Alot of people get confused when talking about metric tire sizes. Generally, this is because the numbers reflected in the metric sizes aren't exactly width and height as we typically like to think. The first number represented (the largest) is the sectional width. This number in MM is how wide the tire is from inner sidewall to outer sidewall. This does not include protruding ***** or ribs. Also note, these calculations vary by rim width, but only by a few tenths of an inch. So for all the calculations and specs I will assume we are using a factory standard size wheel. (the oem equiped wheels). The second number represented (usually the 2nd largest) is the aspect ratio. This spec. is exactly what it says; a ratio. To be precise it's a ratio representing the percentage of height to the section width. When doing calculations this number will always be a decimal because its a ratio/percentage. For example; A 305 70 17 has a section width of 305mm and an aspect ratio of 70 percent(or .7). The third number represented is the rim size in diameter(usually the smallest because this number is in inches). This spec. is the diameter or height of the rim you will be mounting the tire on. No calculations to be done for this one. Now that we understand what all the numbers represent we can start to analyze and convert our specs to U.S. Standard. However, before we begin, we need to know the conversion of mm's(millimeters) to inches. I won't mathematically calculate this cause its easy to find "online". The conversion is 1" = 25.4 mm. This means from inner sidewall to outer sidewall(not including *****) our tire is 12.007 inches. Below is a picture representation. Note: on mud tires your true width will be greater than this. (Typically because of the *****). 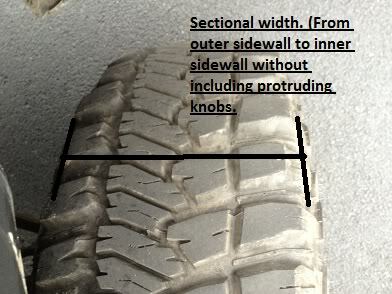 Also note: In the picture I am showing the top of the tire; The exact representation should be taken from the widest part of the sidewalls, inner to outer. Now we multiple our sect. width by our aspect ratio. Numerically we have 12.007 X .7 = 8.405. This calculations is to see how tall(diameter) "one part" of the tire is. By "one part" I mean the top half from one part of the rim to the outer edge of the tire(obviously, there are two of these and they will be the same size because its a circle). Please remember, all tire representations are on mounted rims, but not loaded on a vehicle(the pressure and down-force of the weight changes these measurements). Now we can calculate our height by adding the top half+ bottom half + rim diameter to give us the total tire diameter. Hence, why we cannot assume a 305 70 15 is the same as 305 70 17, because the calculations are dependent on rim size. 8.405" + 8.405" + 17" = 33.81"
8.405" + 8.405" + 15"= 31.81"
It is easy to see the discrepancy between the sizes. I understand this is a very rudimentary and fairly abstract way to understand metric tire conversions. However, I think it will be fairly useful to prospective tire buyers. Please note: THESE ARE APPROXIMATIONS. All tire specs and guidelines differ. A Goodyear 305 70 17 may have a few incremental differences between a Nitto 305 70 17. To help members out(so they don't have to do the calculations) I did the metric conversions for some of the most used tires and rim combos. See the reply(too many characters for me to post on this thread). These are not guaranteed to be exact nor do I take responsibility for indiscriminate errors. Always research your tires for fitment and other general questions. *** If you feel I have made a mistake please let me know, these calculations were done simultaneously and fairly quick. Thanks in advance. I also mad my own program to calculate all the dimensions for other members... Im an 03 17" FX4 guy... so heres an example for comparisons.